Hundred of street traders were on Monday arrested in different parts of Lagos metropolis by men of the Kick Against Indiscipline (KAI), for hawking on the streets. The State Governor, Mr. Akinwunmi Ambode, had last week Friday announced the enforcement of law banning street trading and hawking. Ambode, who was speaking on a live TV interview, warned that the law stipulate six months jail term or N90,000 fine for offenders. The governor said that the renewed enforcement is in line with Section One of the Lagos State Street Trading and Illegal Market Prohibition Law 2003 which restricts street trading and hawking in the metropolis. Our reporter who went round the metropolis to monitor the enforcement reported that men of the KAI were picking up streets hawkers' for allegedly violating the law. The traders were picked up in areas like Mariland, Oshodi, Ikeja, Ojota among other areas in the metropolis. 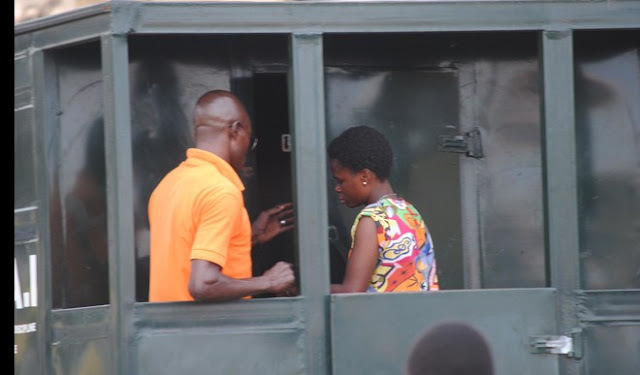 At the Ikeja railway line, our reporter observed as a woman was led into a waiting van. Also at the Alausa office of KAI, our reporter saw many street traders who were arrested by men of the organization. It would be recalled that riot broke out last week in Maryland following the killing of a hawker by an articulated vehicle. Following the killing some buses under the Bus Rapid Transport (BRT) scheme belonging to the state government were allegedly destroyed by hoodlums, who thought one of the buses killed the hawker. According to the governor, 49 buses which worth N139 million, were destroyed by the hoodlums.